Tamás Krausz is professor emeritus at Eötvös Loránd University in Budapest. He is the editor of Eszmélet and author of Reconstructing Lenin (Monthly Review Press, 2015), winner of the 2015 Deutscher Memorial Prize. Róbert Nárai is a construction worker and a member of Socialist Alternative and the Victorian Socialists in Australia. This interview was conducted in November 2017 by Róbert Nárai, with help from Eszter Bartha. It has been adapted from the version in Yearbook 2019 of transform! europe. Many thanks to Éva Nagy and Eric Canepa for their help. Róbert Nárai: In the 1960s, György Lukács—under the slogan Back to Marx!—called for a “renaissance” of Marxism within Eastern Europe. Your political and theoretical work is very much an answer to this call. Could you begin by telling us about what this renaissance entailed? Tamás Krausz: To understand the nature of this renaissance we have to understand the many important questions that the Hungarian uprising of 1956 raised for the anti-Stalinist left across the world. I will only touch on what is relevant to the impact it had on those of us inside Hungary and Eastern Europe more broadly. After the Twentieth Congress of the Communist Party of the Soviet Union, following the investigations into the phenomenon of Stalinism, many people began to realize the sharp contrast between the historical and social conditions that led to the Russian Revolution and its emancipatory goals, and that of our own situation. In regard to Lukács on this question, he deduced the “limitations” of the Russian Revolution from the “non-classical nature” of the revolution and Soviet development. This was not merely a matter of the limitations posed by its “semi-peripheral” economic and cultural conditions, “uneven development,” authoritarian traditions, or the global fight against the Soviet Union. But rather, it was a consequence of the disintegrating conceptual unity between production and the economy, and democracy. This despite the fact that since Plekhanov, and in fact since Karl Marx, Eastern European Marxism, including its Soviet variety, has understood the question of political democracy in relation to the economy, accumulation, and the mode of production. In this theoretical tradition, democracy is understood as an intrinsic feature of the economy and mode of production. Later, István Mészáros described this condition as “substantive democracy.” In this conception, democracy is not an isolated political demand within the revolutionary wing of the Marxist tradition; it is also, at the same time, a working-class economic demand. Following 1956, the deepest, immediate issue that every current of anti-Stalinist Marxism had to address was that of repairing the unity between the economy and democracy that existed in the early years of the Russian Revolution. To all those on the anti-Stalinist left across the world it seemed that the workers’ councils of 1956 were institutional attempts at reestablishing this unity. This was in fact what was at stake in the theoretical work of Lukács, a “minister of the 1956 revolution,” and numerous other thinkers throughout the 1960s and ’70s. However, influenced by the unfolding events in 1956, Hungarian party officials, with János Kádár at the helm, naturally deployed a different conceptual framework. While Lukács associated the workers’ councils of 1956 with the Russian workers’ councils of 1917, the official party stance characterized the councils as counterrevolutionary forces. The events of 1956 reset the theoretical problem as an immediately practical question. Marxists from a wide range of perspectives sought to forge a kind of “third way”—a tertium datur, as Lukács put it—between the preservation of state socialism and the restoration of capitalism, as a way back to a Marxist politics that could lead to authentic socialism. It turns out, based on the correspondence between Mészáros and Lukács, that Lukács raised the question of tertium datur after 1956, claiming that Stalinism could be left behind without restoring capitalism. In the West, the problem was that, after 1968, theoretical thinking was hardly “disturbed” by practice, as no real socialist experiment had been possible in the absence of large revolutionary parties. The large Italian and French Communist Parties were unable to respond to the events of 1968 in a revolutionary way—they were unable to lead people and had no alternative anticapitalist economic program. In Eastern Europe, genuine Marxist thinkers had to break with the legitimation ideology of Marxism-Leninism. Neither the new revolutionary left nor the older Communist Parties had adequate programs that put forward an alternative to capitalism. In Hungary, the sinologist and philosopher Ferenc Tőkei, as well as Lukács and his followers (later referred to as the Budapest School), were chewing over the same theoretical questions as others in the region, such as the Praxis school in Yugoslavia and others in Poland. These thinkers had broken with the ideological approach that saw history as a mechanical product of blind necessity, one which bound the interpretation of history within the confines of abstract theoretical models. This was an important development in terms of both Soviet theory and historiography. One of the main points of debate in historical theory concerns the alternative nature of historical development—that is, the historical possibility of an alternative to present reality, as Lukács argues in his Ontology of Social Being. Practically ahead of all others, Isaac Deutscher raised the fundamental historical question regarding Soviet development, the “great breakthrough,” the “revolution from above” (forced collectivization, superindustrialization, planned economy, etc. ): Was there any alternative? The question was especially relevant in Eastern Europe at the time because it seemed as if the 1960s would produce some radical alternatives. Later, at the time of perestroika, it was only natural that the question arose once again. In this sense, the new Third Party Program, accepted at the Twenty-Second Party Congress in 1961, is important because it defined “communist society as the system of social self-organization.” Though Nikita Khrushchev’s reforms were out of sync with the theory, they nevertheless opened up the possibility for socialist thought to engage with more philosophical issues. Thinkers in the East could outline socialist perspectives detached from concrete practical tasks. I refer particularly to the theoretical groundwork for the concept of the alternative in Lukács’s the Ontology. These alternatives “give rise to causal chains,” while the actors in every historical situation have to consider the options concretely. As we know, alternatives are not simply in existence, but, rather, are actively brought into being. Lukács illustrated this point with Vladimir Lenin’s role in the Russian Revolution of 1917. The degree to which individuals—and society itself—are able to recognize the possibility of alternatives is an intrinsic factor in how a particular historical situation is addressed. Whatever our evaluation of the historical significance of the Hungarian uprising might be, one matter is indisputable: it did not leave the future of the Soviet regime, and Eastern European regimes more generally, unaffected. It was impossible to avoid raising the question posed by Trotsky: What is the Soviet Union and where is it going? Khrushchev’s famous speech at the Twentieth Party Congress and the events of 1956 and 1968 all invalidated the stagist Stalinist theory of social formations, which had served to equate socialism with Stalinism and render impossible the search for democratic, socialist alternatives. As a result, and not independently of the rise of the left in the West and the positive effect of the anti-imperialist and anti-colonial struggles, the future of socialism had to be rethought on a global scale as well. The progress of socialism itself became an acute question. All of this was an important part of the “renaissance of Marxism” Lukács was calling for. RN: So, the theory of state socialism—namely a critical theory of so-called actually existing socialism grounded in the theory of social formations—fit into this attempt, as you put it, to “rethink the future of socialism” from your Eastern European situation? TK: Yes, that is quite correct. Until the 1960s, theoretical perspectives in the West were determined by debates and concepts drawn from before the Second World War. Between 1929 and 1941, the notion of state capitalism as a theory describing Soviet development was most popular among Western leftists and even Marxists who, of course, were not members of the official Communist Parties and were detached from the tradition of the Comintern. However, the unilinear template fit well with the “vulgar-materialistic” atmosphere of the period, which assumed the chronological sequence of five social forms—primitive communism, ancient slave society, feudalism, capitalism, and communism—from one to the other, in a mechanical and predetermined fashion. In Eastern Europe, and especially Hungary, Poland, and the Soviet Union, there was no notable influence of the theory of state capitalism on circles of critical Marxists, because it could not be adapted to Marx’s theory of social formations—it is simply impossible to describe the Stalinist system as a profit-oriented economy, as a capitalist market economy, in which accumulation of private ownership is carried on in the interests of a state bourgeoisie. In 1947, Tony Cliff reformulated the theory of state capitalism (and a whole movement came to be organized on its basis), pitting the question of ownership against the question of power. The Marxian social-formation theory reconstructed by Ferenc Tőkei in a philologically credible manner aimed, among other things, to supersede such antitheses. The problem of the nature of the Soviet system necessarily posed the question of social formations as a whole, which essentially concerned the relationships between state, private, and communal (collective) ownership. In order to change the existing division of labor in the long term, you need to change ownership and power relations. The Hungarian Marxist philosopher András György Szabó, who has since passed away, reconstructed Marx’s terminology in order to conceptually define the essence of the state-socialist system. Inspired by Szabó’s work, three fundamentally different positions emerged in the process of debate. The first position was that, as a system, state socialism originated in Stalinist development and that its downfall would be the consequence of its own internal contradictions. In essence, it was a modernization experiment. Proponents of this position see no real difference between capitalist and Stalinist attempts at modernization. The second was that the old state-socialist system, in spite of all its failures, was a development that could be continued, and repudiating it would serve the prevailing power structure in its ideological claims to legitimacy. Therefore, its fundamentally positive elements must be protected in order to preserve the anticapitalist tradition. Its collapse would be a result of imperialist intrigue and betrayal. The third position was that state socialism was the product of a particular historical constellation and, as such, should not be repeated. Its downfall was caused essentially by internal factors, but a number of cultural-intellectual and social elements were amassed in the course of its development, which certainly constitutes a heritage worth preserving. We can list among these, first of all, the theoretical and practical tradition of weak but existing social self-government, self-organization, and the defense of the lower classes. These are the traditions that the “revival of social self-organizations” in the 1960s, especially in 1968, helped develop and deepen. The concept of state socialism refers to an irreconcilable contradiction. On the one hand, the old state socialism could not disconnect from the world capitalist system, with its global division of labor. It came into being dependent, and continued its existence partly dependent, on the center region, which in some historical periods even threatened it with military and/or economic liquidation. On the other hand, the state-socialist system eliminated the profit-producing society, the accumulation of private capital, and the capitalist structure based on the money and market economy. State socialism undoubtedly worked as a politically and socially motivated system for the extraction of surplus labor. In state socialism, in addition to the expropriation of the bourgeoisie and its economic and financial institutions, the capitalist market economy was substituted by various forms and institutions of state planning and distribution. A new specific class society came about (still to be explored in terms of social history) determined by the traditional division of labor. But in this society, according to the constitution, state property was by definition neither inheritable nor open for sale or purchase—it belonged, in principle, to society. Throughout its history, one might say that state socialism as a system, basing its legitimacy on its revolutionary origins, continued an ideological war—of a rather changeable and paradoxical kind—with the capitalist market economy and the privileged bureaucracy, whose upper echelons disposed of state property. Through this ideological war, the regime only conspired to hide what was really important, namely, that in spite of its anticapitalist features, it upheld a whole range of social inequalities and hierarchies that are also typical of Western societies. But whatever name the system is given, the fundamental problem from the start concerned how to socialize state property brought about through the nationalization of capitalist property and capitalist assets. Despite the fact that it was called communal in the constitution, state property held under state socialism in fact had the character of bureaucratic state ownership. After the change of regimes, liberals also considered state property to be social property, which had to be privatized. The alternative that we put forward is self-governing, socialism that is democratic, which is diametrically opposed to the traditional state as a structure. RN: Moving onto 1968: How did the events of the Prague Spring—not to mention Germany, Italy, France, the United States, and so forth—have an impact on what was taking place politically and intellectually in Hungary at the time? TK: First, we need to point out that 1968 collapsed internationally because it had no visions or practices for an alternative economy. This gap was filled by neoliberalism later in the 1970s. The demands for liberty, gender equity, and human rights were not connected to the practice of a nonhierarchical and nonexploitative economic system. The year 1968 had little to say concerning wage labor as the official left parties could not think beyond the neo-Keynesian model and lacked a real socialist program. Thus, neoliberalism could appropriate the heritage of 1968, absorbing many of its demands while preaching the free movement of capital as opposed to the welfare state. Moreover, the “world revolution” of 1968 meant two basic things for Eastern Europe: economic reform and the occupation of Czechoslovakia. Both distanced us from socialism, rather than bringing us closer, but both took place under the banner of socialism. In the official Communist Parties in the East, the “dogmatists” and the “revisionists” fought with each other, the first trying to further “centralize” bureaucratic control, while the second supported market-oriented reforms. The revisionists had varying success in Eastern Europe but in the end always compromised to remain in power and prevent any real socialist, democratic experiment. In this regard Hungary reflected the fundamental contradictions. Economic reforms followed, meaning a transformation of the command economy, decentralization, and the introduction of material interests and market incentives. But at the same time, political reforms were stalled and “socialist democracy” was hollowed out. Lukács tried in vain to inform the world that economic reforms in themselves, without the democratization of production and consumption, the establishment of a needs-centered economy, and the participation of the producer classes, would pave the way for the establishment of a bourgeois transformation, the “consumer society,” recapitalization. In contrast to this development, Lukács put forward the tertium datur—namely, the search for a non-Stalinist, noncapitalist alternative—in his 1968 Demokratisierung Heute und Morgen, in which he revived the historical experiences of workers’ councils and direct democratic control. To put it in Lukácscian terms, the “alternative” in any part of Eastern Europe involved three abstract possibilities of development: the preservation of the status quo, the restoration of capitalism, or the transformation of the system toward socialism. All three possibilities were manifestly at work in the events in Czechoslovakia, the “new economic mechanism” in Hungary, the Solidarność movement in Poland, as well as the Yugoslav transformation. In a latent form, of course, the alternative was present in the Soviet Union as well, even if Khrushchev did not understand it. Yet, twenty years later, the period of perestroika made it clear that these triple possibilities of development are not equally likely. RN: In what way was your own work in this period—the 1970s and 1980s—a response to this conjuncture? TK: In the 1970s and ’80s, as a young historian, I was engaged in exploring the viable (humanist) elements of Marxism with many of my colleagues. Most of all, I worked with Miklós Mesterházi, who went on to become a scholar at the Lukács Archívum, on the Bolshevik reception to the early Lukács. With Tütő Lászlóval, I tried to reconstruct Lenin’s concept of socialism, and then the concept of socialism in Trotsky, but in general I was interested in the Soviet development of the 1920s and the reasons for the rise of Stalinism. By 1989, all of this led me to believe that I understood the theoretical, political, and moral message of Lukács’s tertium datur. The questions I was dealing with were inextricably linked to my attempt to reconstruct a viable, humanist Marxism. RN: So, the unity of these concerns led to, on the one hand, the establishment of the journal Eszmélet and, on the other, the opposition within the Hungarian Socialist Party (MSZP)? That same year, in their 1983 book, A szovjet típusú fejlődés marxista szemmel (The Soviet Type of Development from a Marxist Perspective), György Bence and János Kis proposed that the demolition of the cement walls of state ownership should be succeeded by community and group ownership, and workers’ self-government. Then, in the mid–1980s, after the movement for workers’ self-government suffered a defeat in the Polish labor union Solidarność, a sudden drop in the number of those thinking about the realization of the workers’ movement, of socialism as a tertium datur, could be felt in Hungary as well. At this point, another, different attempt to prepare the philosophical, historical, and, in part, political grounds for the new self-governing socialism in the womb of the old system led to the creation of the Hungarian journal Eszmélet, which was supported by a civil organization called Left-Wing Alternative. The first issue of our journal, Eszmélet, was published in the beginning of 1989 under its current name, which made reference to the similar attempt by István Mészáros and other distinguished Hungarian intellectuals to establish a journal of the same name in 1956, in the spirit of an anti-Stalinist and anticapitalist tradition. We maintained a friendly and fruitful relationship with Mészáros throughout his life. He unfortunately passed away in 2017. In retrospect, even under the old system, but in a more liberal climate, György Aczél, a leading cultural politician, also supported the creation of this Marxist journal, because by then a liberal journal and a nationalist journal had also been established. Eszmélet, a unique organ in 1989 within Eastern Europe, is still in existence thanks to our vast international connections. At the beginning of the 1990s, many well-known figures of the European radical left wrote for our publication and spoke at our events. As a starting point, our journal had been concerned with conveying and developing the main achievements of our theory of social formations. One of our contentions was that during the transition there would be no dawn of a “good capitalism,” and we rejected the ideologies that legitimated such views. Instead, we based our perspective on the humanist, socialist project as an alternative at the level of theory. In terms of translating these theoretical perspectives into an orientation toward real-world praxis, we built up an independent platform within the MSZP between 1989 and 1990. In the old “state socialism,” the Hungarian Socialist Workers’ Party (MSZMP) did not have an organized left—all that existed were the dogmatists and the revisionists. The former’s politics were based on the status quo, while the latter reached the standpoint that capitalism should be restored. Both trends were opposed to the democratic transformation of state socialism. 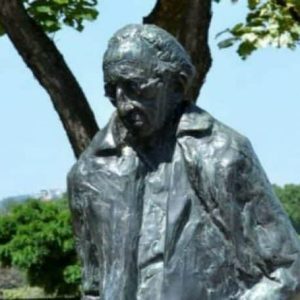 As I have already mentioned, Lukacs’s students, such as János Kis or György Bence, were initially committed to Lukács’s project, but in the 1980s, under the banner of liberalism, became the main advocates for capitalism’s restoration. They came to believe that democracy and capitalism were synonymous. We, of course, did not fall into this trap. RN: How did the Marxist theory of social formations inform your analysis of the transition? How did it differ from the other dissident currents at the time? TK: Eastern Europe is an area with a very specific conjunction of semi-peripheral, gentry capitalist, and autocratic traditions: according to historian Emil Niederhauser’s definition, it extends from the Baltic region, through Poland and Hungary, down to Croatia. This “belt” is clearly delineated from the three other subregions of Eastern Europe: Russia-Ukraine-Belarus (“Eastern Eastern Europe”), the Balkans (minus Croatia and Slovenia), and Czech Republic-Croatia-Slovenia (“Western Eastern Europe”), which is the most embourgeoisied region. The theory of social formations was essential in our analysis of contemporary world history. The methodological background certainly played a role in the prognosis that a group of historians made, even in a small country like Hungary, that, on the basis of this theory, the restorative changes of regimes made between 1989 and 1991 would not lead to the celebrated “catching up” to the West that the ideologues spoke of. It was clear that the 1989 project of “catching up” to Western development was as much nonsense in the theoretical sense, and served only political goals, as the later phantasmagoria about the “end of history.” In a large part of the Eastern European region, including, of course, Poland and Hungary, “catching up” and the whole project of a bourgeois democracy was doomed to failure from the very beginning. We argued that the new, oligarchic (we called it nomenklatura) capitalism can only function through the maintenance of authoritarian regimes in line with the Eastern European-Russian traditions, draped in nationalist robes—even under European-American patronage. The argument that 1917 Russia lacked the social preconditions for a bourgeois democratic transformation is spectacularly proved by the fact that even now, thirty years since 1989, no such regime has been established in Hungary. It was evident for us even in 1989 that it is impossible to build a bourgeois democracy without a democratic bourgeoisie. It is impossible to create a democratic bourgeoisie from above, by the state. Transitology and modernization theory and terminology, let alone the various concepts of totalitarianism, always contain—overtly or covertly—several old and new characteristics of subordination to the global capitalist system. Historians cannot be surprised at the formation of these authoritarian regimes that have been historically determined in the region, both from a national and global perspective. The intellectual “return” of these regimes to the historical antecedents of the interwar era, to the cult of Miklós Horthy, in a completely different world and social structure is not at all paradoxical. Eastern Europe then and now is defined by its semiperipheral position in the world system. Already at the beginning of the twentieth century, the system-critical historiography could not imagine “catching up” on a capitalist basis. Lenin was right when he underlined the plundering and parasitic character of modern capitalist accumulation. “The epoch of imperialism,” he wrote, “is one in which the world is divided among the ‘great’ privileged nations that oppress all other nations.”3 However, the local ruling classes and privileged groups are also interested in the maintenance of this world order. In spite of the great economic and social changes over the past one hundred years, capitalism has failed to solve any of its major contradictions, which may lead to the destruction of humankind. In a structural sense, contemporary debates about the concept and nature of neoliberal capitalism remind us of the polemics that were conducted one hundred years ago—on the accumulation of capital, the end of capitalism, the elimination of crisis, modes of management, imperialism, world government, and so on. I think a historian who deals with global history cannot avoid these debates. The essence of Marxism is to describe scientifically the structure and exploitative system of capitalism, and to figure out how to move beyond it. Therefore, 1989 as a “conservative revolution” should have been foreseeable and its reactionary nature fit all the specificities of Eastern European development. Like Isaac Deutscher, or Lukács in his time, Marxist circles did not press for an immediate destruction of the state-socialist system in 1989, because we predicted that the system change would result in the oligarchic, ethno-nationalist “gangster capitalism” typical in the semiperiphery of the global system. Between 1989 and 1990, the anticapitalist movement saw its main task as protecting and representing the cause of labor’s self-defense, the formation of the workers’ councils. And yet, the socio-political substance of the change of regimes was misunderstood and misinterpreted by many, even on the left in the West, from radicals to social democrats. It is widely known that our friend Ernest Mandel actually felt the fever of a new socialist revolution in 1989, although, it must be added, he later had the courage to reassess his position. The most typical narrative explained the events as a “rectifying revolution”—this is what Jürgen Habermas was arguing—that carries the people back from a failed experiment to the world of bourgeois democracy. Transitology—the main paradigm that dominated the literature of the 1990s—advocated a developmental “catching up” that for the Eastern European masses and politicians meant catching up with the Western European levels of consumption and material prosperity once they implemented Western European types of political institutions and “introduced” capitalism in the region. This was, of course, illusory. Catch-up development has been criticized for its theoretical shortcomings by many critical thinkers who have pointed out the ideological and teleological implications of this so-called theory. The assumption that Eastern Europe can catch up to the Western European capitalist countries economically and socially proved to be fundamentally wrong. One can indeed argue that in some respects the West has been “Easternized,” in terms of the shrinking of the welfare state, a growing precariat, and the appearance of ethno-nationalist and populist political parties. In proximity to the events, what we could observe from Budapest to Moscow and from Moscow to Warsaw evidenced that there was a ferocious battle unfolding between various factions of the local elites and global representatives of capital around the redistribution of power and property, over the heads of society. Already in 1989, we believed that all of this could lead, at best, to new types of ethno-nationalist authoritarian regimes descending on the region. The regime-change elites all wanted to make us believe the opposite, and to do so specifically with regard to two related questions. One was pushing the notion that the question of ownership was not important, as workers are only interested in good wages. The other concerned democracy. They introduced the rule of law, but placed employment under the control of capital. They killed the first statement with the second. We were sure of two things, nevertheless, and this knowledge deepened over time: the question of ownership is the question of questions, because it simultaneously concerns both production and consumption, unemployment and exclusion, on the scale of society as a whole. Capital is not afraid of occupied spaces and occupied streets, but rather of occupied workplaces. Here, capital can accept no compromise—either concerning worker ownership, workplace occupation, or self-governing democracy. And all of this was justified by the asinine ideology of catching up to the West, without even bothering with the fact that it was Stalin who had originally come up with this idea. That is all that need be said about who had illusions about what. We never forgot that social self-government has a rich historical experience regionally and globally, and it is no coincidence that capital and the state had to repress such experiments again and again. We believe that humankind can find no other way out of this system of incurable structural crisis under the rule of capital. The task we had set out to accomplish so many years ago, though under changed conditions, still stands here before us. The second issue concerns how, in many aspects, capitalism still underperforms old state socialism in a number of countries, which inevitably contributes to its discrediting in the eyes of the people. When all of this will reach a boiling point cannot be foreseen. Without any favorable external conditions—for example, an upturn in social and working-class struggles throughout Europe and elsewhere—no significant change can be expected in our region. RN: What were the political lessons you and your comrades drew from this internal fight within the MSZP? These sorts of questions have recurred time and time again throughout the history of our movement. For example, the debates on entryism in the Trotskyist movement; the question of whether revolutionaries should enter the British Labour Party now that Corbyn is at the helm and it expresses a certain politicization taking place among a layer of people in British society; whether it was correct for revolutionaries to intervene into the SYRIZA project, and so forth? TK: I believe that there can be no “resurrection” of the left without European and international cooperation. Venezuela, Brazil, Greece, and so on—their experiences show us not only that socialism cannot be created in isolated countries, but even capitalism as a universal mode of production is not really possible in an isolated country. Great Britain is no exception. The breakup of capitalist private property will hardly be on the agenda for a Labour victory. Without changing property ownership and the control over the movement of capital, serious change cannot happen. We all know the history of the British Labour Party—there has been a left and a right throughout its history, but revolutionaries know that this party is unable to develop socialism in Great Britain. There are three main reasons for this I want to mention here. The first is the Labour Party’s extensive intertwining with the bourgeois state and the large groups of social democrats in it, who are committed to the current order. Second, the Labour Party has no alternative anticapitalist economic program—it merely promises to “reload” the welfare state. Third, the collapse of the Soviet Union removed the historical challenge of a socialist alternative, which weakened the position of labor in the core countries as well. Nevertheless, a Labour victory can give political and organizational strength to workers’ self-defense against capital and the state. Therefore, the dilemma for revolutionary organizations, the dilemma of outside or inside always arises in times like these when there is a shift to the left. Since the system change in Hungary, this dilemma no longer exists, since the MSZP has gradually become an appendage of the state and capital, and there is no situation that could purge those politicians whose “livelihoods” depend on being such an appendage. When the MSZP was formed in autumn 1989, its objective was still that of democratic socialism, because, at that point in time, our anticapitalist platform was very strong. We were then gradually dislodged from the organizational center, and the party leadership (under Gyula Horn) embarked on restoring capitalism, making the turn to neoliberalism, and entering the North Atlantic Treaty Organization (NATO). Things turned even worse after Horn and the war criminal Tony Blair became the model for Ferenc Gyurcsány. Neoliberalism is now embedded into the soul of the MSZP. Under a left-wing banner, it pursued a right-wing austerity program that ultimately undermined its legitimacy among working people and created the conditions for the two-thirds parliamentary majority that Viktor Orbán, of the right-wing Fidesz party, achieved in the 2010 elections. Germany’s and Austria’s social democratic parties exemplify many of the same devolutional tendencies. The overriding lesson we learned from our battle within the MSZP was that without working-class people, without a social base in the class, without social movements, and so forth, a serious revolutionary organization is impossible. During the transition and into the 1990s, working-class consciousness and militancy was declining, not rising. Under the Kádár regime, the working class had a real chance to be part of the middle class: they could buy apartments, build houses, own weekend cottages, and purchase durable consumer goods. Undoubtedly, the exclusion from the political sphere reinforced material and consumer values, which led to the erosion of the propagated revolutionary consciousness. In the 1990s, there was a gradual impoverishment of the bulk of the socialist working class—this, however, failed to translate into political action thanks to the former depoliticization of the working class and the lack of political parties that could organize the workers. In addition, almost all politicians believed in catch-up development: that the new Eastern European capitalist societies could “catch up” to the consumption levels of the advanced Western countries. This illusion contributed to the lack of working-class activism after 1989. Let us be clear: it is not the old Communist party that needs to be reestablished. Rather, we need work on the defense of labor and social opposition to capital, as this is the right terrain for the battle. And by the term working class I refer to the absolute majority of the population, those working for wages or who are unemployed, exactly in the same way as Marx understood it. A new party can only be born out of a new labor movement. We never accepted the privatization of public services and nationalized industries, and I abandoned the left platform in the beginning of 2009 because I understood that we could not fight for our position any longer. Everything was buried under neoliberalism. I never gave up my criticisms of privatization or oligarchic capitalism; I was an independent thinker in this respect. I understood that the MSZP as a force of the left was finished. The MSZP is a centrist, bourgeois party. Today, it resembles many of the former so-called social democratic parties: hollowed-out bureaucracies with no roots in the working-class movement. RN: What do you see as new about the Orbán regime compared to the regimes that came before it? TK: International conditions have played an important role in the formation of this regime. Both the European Union and the United States have persistently taken a paternalistic attitude in criticizing Orbán’s government for its antidemocratic, authoritarian political moves, its concentration of power, and its open anti-Semitism and anti-Roma sentiments. However, they have never attacked its legitimacy, since the government maintains a low budgetary deficit, pays back debt as scheduled, and gives large-scale tax exemptions to multinationals. The majority of the population does not know about this since much of the media is controlled by Orbán. We should understand that the Orbán regime is the embodiment of the new populist far right, which is capable of implementing restrictive neoliberal policies under the banner of antiglobalist ideological campaigns, and which stresses the defense of European so-called Christian values. By now it is well recognized that the Eastern European and Soviet system change was inseparable from the neoliberal restructuring of the global capitalist system and from the new forms and challenges of multinational capitalist power. The solution of the “communist reformers” to the Soviet Union’s inability to compete economically and militaristically against the West was to “integrate” it into capitalism with the help of the core Western countries. A regime like Orbán’s is the ultimate local consequence of this. The main aims of the state in the beginning of the socialist period were the elimination of the national bourgeoisie and the abolition of private property. It was illegal to trade state property. The new system acts in the opposite direction. While in 1987 the democratic opposition still spoke of “mixed ownership,” by 1990 all major political forces supported full-scale privatization. This first era, which was mainly dominated by the socialist-liberal coalition, established the first “generation” of native capitalists. At first, Fidesz presented itself as a critic of the ills of privatization, but it soon became evident that they merely want to create their own bourgeoisie. They continued to privatize communal services, land, and other types of property in favor of the new bourgeoisie, which the government has itself created. The newly introduced bourgeois class has flourished in the Fidesz era since it first received its capital from public funds. It has an especially parasitic character. Under a nationalist banner and with the help of the upper strata of society, certain groups of the renewed power elites are today trying to make their privileges inheritable, thereby avoiding competition with foreign capital or other political forces, such as social democrats and liberals. It has no objection to the strengthening of its own bourgeoisie—in fact, its present policy has been targeted at the creation of a loyal “service class,” which happens to be bourgeois. As a result, they have restructured the system of distribution and deepened social-cultural inequalities in society. The same can be seen across the region in Ukraine, Latvia, Bulgaria, Belarus, and Romania. We are not surprised at the authoritarian turn taken by the regimes in Eastern Europe since the new oligarchic capitalism can only be maintained through authoritarian means. The experiment of a bourgeois democracy has failed because it cannot be built without a democratic bourgeoisie. The journal Eszmélet had developed several prognoses for this already by the time of the regime changes. The new ruling class pinned their hope in Orbán’s “Christian-national” government; it represents their values, social interests, and meager culture, while privileging their capture of budgetary resources. These layers of the new ruling class specifically fell back on government support because they did not know how to discipline the continuously growing masses of unemployed and impoverished workers. In other words: How can an impoverished society be restrained and disciplined under a returning economic crisis? The social-liberal coalition that ruled between 2002 and 2010, prior to Fidesz, had no solution, oscillating between old-fashioned, routine neoliberal economic policy and propaganda, based on EU gobbledygook. Hence, their political representation lost its backing and dissolved into a shrunken group of irrelevant “survival” politicians. While the far right (Jobbik) gained strength, the “Christian-national” coalition of Fidesz and the Christian Democratic People’s Party won the 2010 elections on a supermajority mandate that allowed them to enforce their own “solution” to the nation’s problems. Since then, Jobbik has changed its image to downplay its racism, anti-Semitism, and violent hostility to the Roma. Subsequently, Fidesz has shifted to the right to pick up the votes of the far right in the spring elections. In Hungary and other Eastern European countries, those in power soon came to understand the need to introduce an authoritarian regime that would hollow out the parliamentary form and political-party system. They promised undisturbed mechanisms of governance to both the European leadership and the Hungarian public in return for European legitimation of their so-called system of national cooperation. Everyone who could or would not fit into such a framework came to be considered an enemy of the nation: communists, atheists, liberals, Jews, Roma, foreigners, and all of their supposed patrons. The anti-Semitic campaign against George Soros is a classic example of populist demagogy, comprising the “struggle” against multinational capital and the fight against refugees and migrants in the name of national self-defense. Nevertheless, I think it is doubtful that Orbán will continue to block immigrants from entering the country as 10 percent of working-class youth have left Hungary in a very short period of time. Capital needs new cheap labor and thus refugees. This will in turn decrease the price of the labor force. Many believe that it is liberals and socialists who are bringing the immigrants in, but, in reality, it is capitalism that uproots people in and outside Europe, and the bloody wars of the United States and NATO that produce refugees. The elections in April showed the conservative, backward nature of Hungary, with Fidesz winning two-thirds of parliamentary seats. The nationalist party stoked the fears of the poor strata of the population in rural areas with populist, far-right, anti-migrant propaganda. In Budapest, the anti-Orbán opposition won, but in the absence of any real left-wing opposition. RN: Despite the dire situation you have described, there have still been sparks of resistance to the Orbán regime. For instance, the protests against the closure of the Central European University (CEU), the struggles of public-sector workers, and the fight against the closure of the Lukács Archívum. What opportunities do you see for resistance in the coming period? TK: The attempt to close down the Lukács Archívum symbolizes the profound hatred of Marxism and socialism. 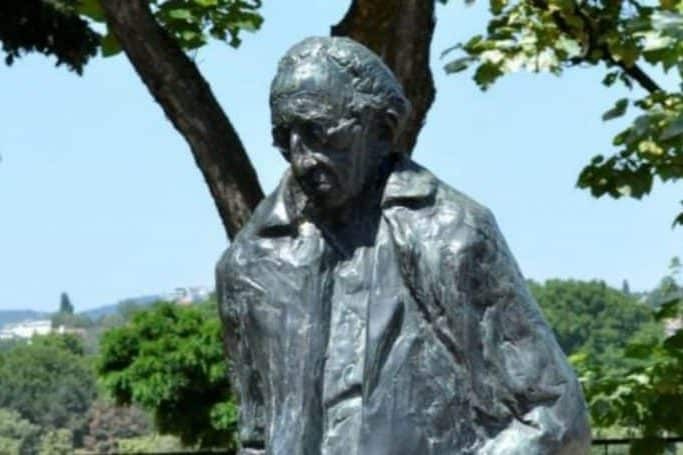 Not long ago, the statue of Lukács erected after 1989 was demolished. The fight to protect CEU has also been lost. Liberals have no real social roots in Hungarian society. The main political question in Hungary at the moment tells you a lot about the severity of the situation. On the one hand, you have those who want to collaborate with Jobbik against Orbán; on the other, there are those who think this is insanity. The former orientation totally discredits progressive forces and, from this perspective, it logically follows that they do not have any kind of economic program that can challenge Orbán. The mainstream liberals and “socialists” speak only of political and juridical problems, they speak only about the “restoration of democracy” in Hungary, but for the majority of people in Hungary, democracy is about social, economic, and political rights and practical possibilities. The most the “socialists” can speak about is some kind of neo-Keynesianism, which I believe is impossible within our historical conjuncture. In Hungary and elsewhere in Eastern Europe, people feel that the “oppositional parties” do not have any serious alternatives, much like elsewhere in the world. In Eastern Europe, the social-democratic vision of a new “welfare state” is nothing but a shallow utopia lacking any material and social basis. In Eastern Europe, the welfare state was state socialism. Do we really want to go back to it? Another decisive question is whether a “New Left” emerges with the strength to challenge the hold of mainstream liberalism on our region. The best grassroots organizations deal with the problem of poverty, but how can they defend this society against capital, against the state, and so forth? These small organizations are very important, but they do not have a political party. And because the poorest strata of society will not vote, these organizations do not have enough social weight to have a meaningful impact on the political terrain. However, they are morally, politically, and, in every sense of the word, very good, potentially anticapitalist organizations. But there is little practical experience to demonstrate that the precariat can be organized at all. Historical experience suggests that the subproletariat in its ultimate despair may support any political force that exhibits strength and promises support, as with the rise of ethno-nationalist, right-wing populist parties. RN: Could you tell us a bit more about these organizations? TK: Unfortunately, the anticapitalist and antisystemic organizations and networks are deeply divided among themselves. One can distinguish three currents. First is the Hungarian United Left or Magyar Egyesült Baloldal (MEBAL), which brings together groups such as ATTAC Hungary and Foundation Hungarian Social Forum. Most of its initiators and activists are Marxist intellectuals, mainly of an older generation. Their members and supporters amount to a few hundred. As is the case with similar groups in Western Europe and Russia, this network does not, for now, concern itself with the founding of a political party, but focuses on social projects that are meant to serve the protection of the lower classes. In public statements, MEBAL emphasizes its rejection of the foundation of new political parties under current conditions, because it considers it impossible for the radical left to get anywhere close to parliamentary representation without significant financial means and infrastructure, and especially without widespread popular support. According to MEBAL, a left turn can only be imagined if the question of property is placed at the center of the struggle: we need to start a fight for the legalization of communal property forms, productive-economic self-governance, which goes beyond market relations. The second significant current is the party Green Left (Zöld Baloldal). The Green Left was established by the merger of the Alliance of Green Democrats, the European Feminist Initiative for a Different Europe, and the Workers’ Party of Hungary 2006 (Magyarországi Munkáspárt 2006, member of the Party of the European Left). While the party participated in the elections of 2010 and 2014, it did so without being able to even put together a list of candidates anywhere. Similarly, in the parliamentary elections of spring 2018, they were unable to send even a single candidate to the parliament. The third camp in the antisystemic left consists of anarchist and anarcho-communist groups, which compete among each other. These groups attack both the state and any traditional form of political organization. They embody the idea of the left as a political subculture. Happenings reported in the liberal press are more important to many of them than mass action. The representatives of this camp see themselves as antifascist and antiracist. All these groups are part of the region’s anticapitalist traditions, which, through the self-organization of society, want to disconnect themselves from capitalism. Those traditions can be traced back to 1905, 1917, and 1989–91 in Russia and the Soviet Union, to the years between 1945 and 1947 in Eastern Europe in general, to the Yugoslav experiment, later to the workers’ wing of Solidarność in Poland, and to the self-organized workers’ councils and committees in Hungary in 1956 that strove for the socialization of state property. Under the pressure of the neoliberal global order and capitalist restoration in Eastern Europe, however, it is hardly possible to powerfully reconnect to these radical experiments of self-organization. Yet even today, years after the insurrection of 1956, the Hungarian state expends a great deal of energy in disowning the memory of 1956. A propaganda campaign as has never been seen before and megaconferences at universities are spreading the Fidesz program of “national understanding” and legitimizing the current system. At the same time, since 1989, the tradition of the workers’ councils of 1956 is either completely concealed or falsified. This serves as more evidence for the extreme weakness of the labor and trade-union movement even twenty-five years later. Nationalism is the best and most effective weapon against socialism. We can see it in the light of all historical experiences. RN: Despite the weaknesses you have identified, do you see a possibility that things could take a turn for the better for the left? TK: The key question is whether or not it is possible in today’s situation to build up organized centers of anticapitalism. This is not about building a bureaucratic apparatus. These centers are the self-organizations of producers. The idea of a network-like organization, which already appears in Lenin’s writings, has a certain genius to it, both in an ideological-theoretical and a practical-political sense, for it seeks out the weak points of the capitalist system. The network to which I am referring includes features of voluntary organization during the process of creating workplace- and neighborhood-based social communities. The real anticapitalist content comes when human communities are organized in the field of production as well. This is the essence of the Russian revolutionary experience: namely, anticapitalism and the change of property relations. We should not conceive of parties as political parties, but as aids to create an antisystemic alternative. The bourgeois parliament is unfit to realize any kind of alternative socialist vision. Whoever does not understand this will understand little from the history of the past century. The fundamental goal of the party that I refer to is the advocacy of a social development that is organized from below. Bourgeois democracies maintain the rule of the various elite groups, but the party should represent the remaining 80 percent of the people and advance the new society. It is the message of the Russian Revolution for today. Over a hundred years ago, the purely political revolution (that is, without accompanying economic and social revolutions), which today is no longer possible, started out from such an “organized center.” Today, capitalist exploitation in Europe is organized in a different way, the crisis has a different structure, and therefore, the organized centers also need to take on a different shape than that of Lenin’s time. It is likely that civil movements will replace the political organization that grew detached from the producers: new movements that are organized for the solution of concrete economic and political-power issues in local and broader contexts. There is a general declining trust in party officials who are paid regular salaries for their work. Without a wider social self-organization, the total destruction of humankind could become a realistic scenario. A powerful anticapitalist movement without a labor movement is impossible. In a situation in which capital and the state effectively keep social movements away from workplaces, comprehensive attempts at organization involving the sphere of work would be of particular importance. However, the most complicated problem is that today’s antisystemic organizations are not reaching young workers and have not even prioritized this. The capitalist organization of labor has been fragmenting the organized resistance of the working class, and its consciousness has been effectively manipulated by the ethno-nationalist and racist propaganda eclipsing the outlook of socialist class struggle. Moreover, capital intends to form new military zones worldwide, which always result in destruction and mass flight. These masses are being configured as the new enemy: as Orbán stated recently at the inauguration of a monument, “our main enemies are the migrants, the Soros plan, and Marx.” The Soros-terv (Soros plot) alleges mythical global forces, which seek to destroy European civilization through the settlement of migrants in Europe. From Trump to Orbán, there is a great variety of “new” images of the enemy. RN: You mentioned Lenin, which brings me to my final question: you have claimed that the primacy of Lenin’s Marxism is not a thing of the past. Could you elaborate on how Lenin’s Marxism is relevant to the political conjuncture today in both Hungary and elsewhere? TK: I believe the main ways in which Lenin can speak to us today can be briefly summarized as follows, under the rubric of the class struggle against nationalism and capital. The challenge for today’s left is the constitution of a new social subject, independent of liberalism, within the dispersed masses of working and oppressed people. It is unavoidable that the left will have to do the painstakingly hard work of developing large-scale organizations from very small ones, combined with developing a radical socialist program, both at the local and global level. The work of Lenin is indispensable in this regard. It is impossible to build such a left within a small country in an isolated manner. Without anticapitalist, antisystemic traditions there is also no internationalist movement, as we learn from the intellectual heritage of Lenin. I also believe it is of the utmost importance that the left restores the political and moral creditability of Marxism, since many people in the former socialist countries identify the left with the upper strata of society. It is all the more urgent because, thanks to this mass disillusionment, many workers join far-right political forces. An important element of Lenin’s political and moral integrity was the courage to take a stand against the system, to go against every injustice, every crime that this system inflicts upon people. Last but not least, the link between revolutionary intellectuals and the working class, bridging the gap between theory and practice, is crucial in conceiving the transition to a world “beyond capital” (István Mészáros), as there is no solution within the capitalist framework. Poverty, inequality, unemployment, environmental destruction, war, and genocide are inescapable aspects of this system of barbarism. Lenin is the “theoretician of practice” (as Gramsci put it)—his “actuality” consists in raising these problems to the level of a political resolution in the organizational form of the revolutionary party. This, however, took place in the era of revolutions. For our conjuncture, we too must be prepared for a new revolutionary era, because it will not come about by itself. We should not be afraid of accusations of utopianism for holding onto such a framework. One thing is certain, however: the key to the “leap beyond capital” lies not in the alienated sphere of bourgeois politics and its violence and treachery, but in bringing revolutionary politics into the sphere of production, into the sphere of everyday life. Lenin would say we must not only occupy Wall Street, but the factories and our workplaces as well. The realization of this goal, as I have already mentioned, will require much hard work and sacrifice. Within our present conjuncture, recognizing the opportunities that allow us to start breaking down the divide between revolutionary intellectuals and the working-class movement, that is where the alternative is situated, and the possibility that a new “renaissance” of Marxism will be born. Of course, I do not conceive of such a revival in a deterministic, teleological sense; history, rather, is an alternative process in which socialism has a great chance because there are no other real alternatives to capitalism. This is the reason why Marx is so reviled in Eastern Europe. Nevertheless, in the absence of a socialist perspective, humankind might face total self-destruction. This is also a realistic alternative. ↩Georg Lukács, Marx’ s Basic Ontological Principles (London: Merlin, 1978), 76; Karl Marx, The Eighteenth Brumaire of Louis Bonaparte (New York: International Publishers, 1963), 15, 19. ↩Ferenc Fehér, Agnes Heller, and György Márkus, Dictatorship Over Needs (Oxford: Oxford University Press, 1983), xiii. ↩Vladimir Lenin, The Collapse of the Second International , 1915, available at http://marxists.org.